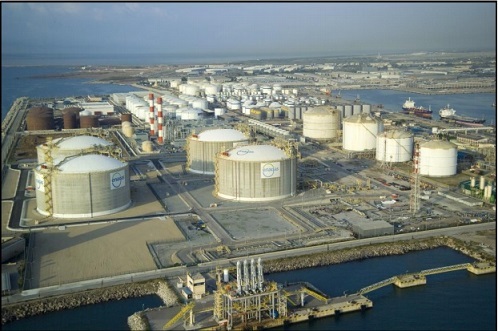 Carrying and handling liquefied gas cargo onboard poses significant potential hazards including risk of injury or death,threats to environment and each person working on a gas carrier and terminal ashore needs to understand the risks involved, obtain the necessary training and take all the needed precautions. The procedures outlined here should be considered as general guidance only; there is considerable variation in the design of cargo containment and cargo handling systems, and specific instructions should be prepared for inclusion in the cargo operations manual for individual ships. These instructions should be carefully studied by all personnel involved in cargo handling operations. Although the cargo containment and handling systems have been carefully designed, and have been constructed under strict supervision, the required levels of safety in cargo operations can only be achieved if all parts of systems and equipment are maintained in good working order. Similarly, the personnel involved in cargo operations must be fully aware of their duties and thoroughly trained in the correct procedures and handling of the equipment. In windy conditions vapours rapidly disperse (that is to say they dilute, to below LFL or TLV). Where there is little air movement, there is a greater danger of flammable or toxic mixtures accumulating and possibly being drawn into machinery spaces or the accommodation. Many cargo vapours are heavier than air and will accumulate in bilges and other low areas . An area or space that is considered gas free for hot work or entry should be frequently re-tested. Air flowing rapidly past a ship's superstructure swirls around it ­ especially on the lee side. Some of the moving air is drawn into swirling currents, which are known as eddies. During cargo operations flammable or toxic gases can eddy and sometimes these can cause pockets of gas to be present in the most unexpected places. Where they form depends on wind speed and direction; a wind blowing from forward may cause gases to accumulate aft of the superstructure. (1)	It is the responsibility of the master to ensure that the officers and crew are properly and correctly informed of their duties, and understand how to fulfill them. (2)	The master or an officer appointed by him is responsible for the safety of the ship and all cargo operations. The responsible officer should be present at all times and be satisfied that all equipments under his care is in good working condition. (3)	The master should ensure that there is proper liaison between the responsible officer on the ship and his counterpart at the shore installation (See Ship / Shore Safety Checklist ). (4)	Details of emergency contact name, positions, telephone numbers etc. should be distributed before cargo operations begin. Any special safety requirements of the shore installation should be brought to the attention of those concerned. do not eat, drink or smoke unless you have thoroughly washed. be sure you know where decontamination showers are located. A Cargo Plan approved by the Master should be displayed in the CCR, the Cargo Engineer and each watchkeeping officer should study and sign the plan. The Chief Engineer should also sign the bunker section as appropriate. The Chief Officer, and/or Cargo Engineer, will be on duty at critical points during cargo operations. Throughout the entire cargo handling period, either the Chief Officer, or the Cargo Engineer, has to be immediately available. The Cargo Engineer assumes operational responsibility for the cargo during certain in-port periods. The handover between the Chief Officer and the Cargo Engineer should be a formal procedure to avoid any ambiguity over who is in operational control and is to be recorded in the Deck Operations Log. The Officer of the watch is to be on duty at all times. Cargo vapour or liquid leakage. Indications of overside pollution or any potential source of pollution on deck. To conform to the requirements of the ISPS Code, a third seaman is to be on security / gangway duty at all times. All visitors to the vessel are logged on and off the vessel. This includes terminal representatives. Seamen should be trained to operate cargo safety trips in given circumstances. It is also strongly recommended that seamen are given basic instruction in the local operation of loading & discharge valves should it be necessary to adjust these valves, when the duty OOW is temporarily unavailable for this task due to other duties. All outside areas of the vessel are to be regularly patrolled, including accommodation decks, bridge deck, upper deck and trunk deck. Refer also to Company, Industry publications and terminal regulations. For safety reasons a minimum of 2 P.O. and 6 sailors should remain onboard at all times during discharge. All scuppers should normally remain closed while the vessel is alongside the terminal. It is permissible to open scuppers to drain excess water that accumulates due to heavy rain or spray water. Prior to opening a scupper the water to be drained should be confirmed as pollutant free and the terminal should be informed. Usually a terminal representative will board the vessel to witness the draining. Scuppers must be closed as soon as the draining of surface water is completed, and must never be left unattended when in the open position. Oil absorbent pads should be placed close to the scupper to collect any oily substances which may be carried by the out-flowing water. Where necessary careful adjustment of the moorings, and fire wires where they are rigged as per terminal requirements, must be made throughout the discharge operation to ensure the vessel does not move position. The terminal operator must always be advised before any moorings are adjusted. Generally the terminal will monitor mooring line tensions and will advise when any mooring requires adjustment. Prior to adjustment consideration should be given to the prevailing current and wind directions. Two watch keepers must be available, and wires should never be slackened on the brake, the clutch must always be engaged, and winches turned in gear. After wires are adjusted and brakes re-applied the clutch must be disengaged. If necessary additional man power should be used to adjust moorings to ensure that the cargo area is continuously monitored throughout. Cargo watch handovers must be comprehensive and in accordance with the Chief Officer's standing orders. The Officer of the Watch (OOW) must complete any critical operation and handover to his relief should be postponed until completion of any such operation. The relieving officer should, prior to taking over the watch, check the cargo plan and the Chief Officer's written instructions for accuracy, sign where not already done so and, by doing so, accept the instructions given and the responsibility for the operations carried out during the forthcoming watch period. The Officer of the Watch must ensure that he has sufficient personnel, capable of performing their duties, available to meet the operational requirements of his watch.